Peperomia Dwarf And Milt S..
Chamaedorea Palm Plant In ..
Every relation has utmost beauty attached to it. Whether you consider your association with your friend, your relatives or the budding relationship with that someone special, there is significance to enjoy every relation. And so it becomes imperative to nurture them well. In order for you to nurture them, there is the need for you to be a part of their lives. There is the need to make them feel loved. There is the need to make them feel special. And, trust us, this is not an arduous task. How can loving someone be a task ? Right ? It is one of the most beautiful feelings. All you need is some time and some sensitivity attached to their special days. Birthdays hold a lot of importance in the lives of your near ones. And so do Birthday Surprises. Well, it will be amazing to start their day, by wishing them with heartwarming Birthday Gifts. 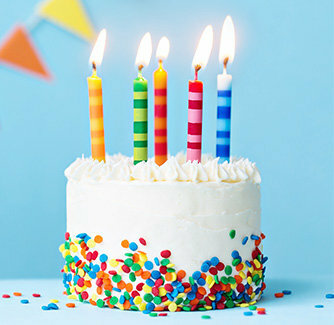 You can pursue the same at midnight to add to the extra charm from plenty of birthday gift ideas. In order to complement what you feel, it will be best to present them with birthday gifts. It is not the money or the richness associated with a gift which is of significance, it is the emotions! The fact, that you have chosen the best birthday gifts makes it all the more special. So, go on, treat your loved ones with the Amazing Gift options available at Floweraura. Birthdays are the finest occasions to converse your love. You must be having friends. There must be those close knit relatives. There are always those childhood chums. And, then of course there is your family. Since, you are special to them, so are they to you. But, simply nurturing love for them in your heart won’t just be enough! Right ? It is really imperative to let them know what you feel about them and how important they are in your life. You can easily make this happen, with planning best Birthday surprises for them. 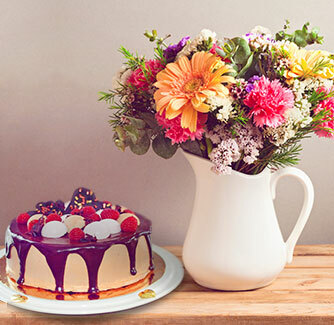 Add the flavor of lovely birthday return gifts as well for a fulfilling celebration. Now the question is – How to gift? You feel perplexed that your dear one is in another city? Well, don’t worry! We have your back. In the present era of innovation and technology, you can send online birthday gifts in a jiffy in the most hassle free manner. We all know, Birthday gifts make the Birthday special for all of us! Hence, do not obliterate this aspect. 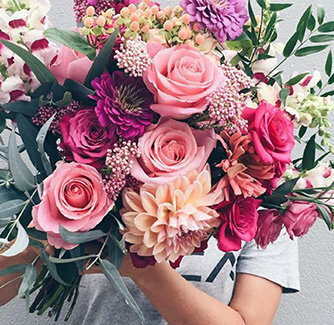 So, this year when you wish ‘Happy birthday’ make sure to order birthday flowers with amazing presents as best birthday gift for your loved ones. The time has gone when there were fewer options for birthday gifts for men. At Floweraura, you are completely sorted. With a range and versatility of gifts, you can simply send your feelings to your family or friends, relatives or colleagues with ease! Indeed, Birthdays are fun. They are meant for the celebration of the most important day of a person’s life. The most heart touching emotions are always associated with birthdays. Have a look at your family album, you will always find the most precious memories associated with your birthdays. And what makes them special? Love, care, share and happiness. Yes. But what else? cakes, flowers and best Birthday gifts for your brother, sister, mother, father to make these memories stay in your mind, heart and senses forever. In fact, whether you are in your twenties, thirties, forties or fifties it is the gifts which never cease to leave their charm. And the same is applicable when you are celebrating the birthday of a special friend. There are the most charming birthday surprise ideas for those of you, who love to celebrate. 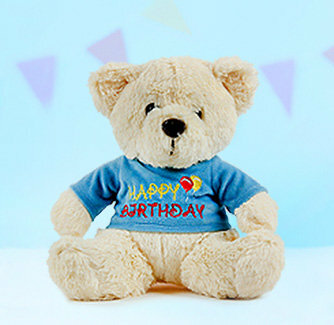 The most interesting aspect with celebrating the birthdays and gifting your dear ones is that the best birthday gifts are the ones which touch the heart. Floweraura has a plethora of options for you to make the day of your loved one. Whether you are planning for a surprise birthday party, an eventful evening or a day out, with the presents you are sure to enhance the experience, show your love and nurture your relation. The key to the heart of your dear one is just some clicks away!